Buckle up Band, we’re about to take a trip down history lane and learn about how our voting process was put into place and has evolved over time! According to the Constitution, the President of The United States is elected every 4 years. A candidate must be 35 years of age, a resident within the U.S. for at least 14 years prior to running, and a natural born citizen. The Presidential election is decided by the Electoral College, which was formed by our founding fathers in 1788. Electoral College votes are divided among the states: Each state gets two votes for it’s two U.S. Senators. There is also a vote for each of their U.S Representatives, which is dependent upon each state’s population. The Presidential candidate that wins the popular vote in each state gets that state’s Electoral College votes. In 1789, George Washington was the first president elected using this method of voting. We still use the Electoral College today. The year 2000 was the first Presidential voting cycle in U.S history to be decided by the Supreme Court instead of the Electoral College. Members of the House of Representatives are elected to 2 year terms. Each state has congressional districts based upon their population reported on the U.S. Census every 10 years. Each state is guaranteed at least one Representative. A candidate for the House of Representatives must be 25 years of age, a citizen of the United States for at least 7 years, and inhabit (have a residence in) the state that they represent. Members of the Senate are elected to 6 year terms. Candidates for Senate must be 30 years of age, a citizen for at least 9 years, and inhabit the state the represent. Each state has two U.S. Senators who’s terms are staggered, so every 2 years approximately a third of the Senate is up for election. There are also many local elections for Governors, State Senators, State Representatives, Assembly Members or Delegates, Municipal positions and School Boards. These are all controlled by State Constitutions and vary by State. The founding fathers never intended for America to be partisan, it is never mentioned in the Constitution. In fact it was written in some early Federalist papers that partisanship could lead to dangerous domestic political factions causing conflict and stagnation in our country. However, the first political parties were seen in 1792 with the Federalist party founded by Alexander Hamilton and the Democratic-Republicans (AKA Jeffersonian Republicans) founded by James Madison and Thomas Jefferson. These first two parties made up The First Party System (defined by political alignment, shifts in party beliefs, and ending when the dominant party loses two House election cycles by large margins) and lasted from 1792 to 1824. The Federalist party was founded on a basis of a centralized banking system, close ties to Britain, a strong central government, and close ties between the government and men of health. The Democratic-Republican party was based on a strong opposition to Hamilton. They did not agree with Hamilton’s financial programs because they believed they would lead to a monarchy. This party was sometimes referred to as “Anti-Federalists” or “Anti-Administration party. They believed in strong state governments and advocated for yeoman farmers. The Second Party System started in 1828 with the splitting of the Democratic-Republican Party into the Whig Party, led by Henry Clay, and the Democratic Party, led by Andrew Jackson. The Second Party System lasted until 1854. The Democratic Party was based on opposition to the Bank of the United States and modernizing programs as well as a belief that the President should be more powerful than the other branches of the government. The Whig Party’s core beliefs advocated for the strength of Congress over the executive branch, as well as modernization and protection of the economy. In 1854 the Third Party System took over with the founding of the Republican Party (aka. The GOP) comprised mostly of Whigs and Northerners and the Democratic Party which was mainly comprised of conservative white Southerners. It persisted until the 1890’s. The Republican Party’s had a strong anti-slavery platform as well as believing in modernization and strong social spending. The Democratic Party ran on a platform of state’s rights and protecting the rights of property holders (ie. slave owners). The Fourth Party system originated in 1896 and lasted until 1932. It consisted of the same social groups of the Third Party (Democratic and Republican Parties) but the topics debated shifted to regulation of railroads and corporations, child labor and labor unions, women’s suffrage, segregation, and immigration control. The Fifth Party system emerged with The New Deal in 1933. This was also the time period that The Republican Party turned more Conservative and the Democrats took a turn for more Liberal agendas. It is debated that a Sixth Party system emerged around the 1960’s around the time of the Vietnam War and the collapse of The New Deal. Some experts disagree and say the Sixth System started in the 90’s with cultural divisions. The Constitution did not originally define who was eligible to vote, leaving it up to the states to decide who was eligible. Throughout the Early 1800’s, as each state joined the union they developed their own state constitution dictating who could vote. During this time the voting population was mostly white males property owners. The Suffrage Movement began with fervor in 1848. Three hundred people attended the very first convention, held in Seneca, New York, for women’s voting rights. At this convention a petition was started calling for federal voting rights for women. The “Declaration of Sentiments” received 100 signatures from 32 males and 68 females. In 1866 the 14th Amendment was ratified, stating that men over the age of 21 who were legal residents of the United States had the right to vote. Any state preventing these rights were penalized by losing electors in the Electoral College. In 1868, after many years of fighting by suffragists at the state level and several national conventions for women’s voting rights, the first federal women’s suffrage amendment was introduced into Congress by Senator S.C. Pomeroy of Kansas. This same amendment was proposed by various members of Congress during every session for the next 41 years. In 1869, the 15th amendment was ratified giving men the right to vote regardless of age, color, or former slave status. Wyoming becomes the first state allowing women to vote in 1890 with it’s state Constitution. By 1900, Utah, Colorado, and Idaho joined Wyoming allowing women the right to vote in their state Constitutions. On August 18th, 1920, The 19th Amendment was ratified giving women the right to vote. The Indian Citizenship Act was enacted in 1924, giving Native Americans federal voting rights. Prior to this, many Native Americans were told they were not legally citizens of the United States, because they were citizens of their tribes according to treaties made from the 1780’s to the 1870’s. According the The Dawes Act of 1887, Native Americans could legally become citizens, thus giving them voting rights, only if they gave up their tribal affiliations. Chinese Immigrants are given the right to vote with the passing of the Magnuson Act in 1943. This Act, sometimes called the Chinese Exclusion Repeal Act, officially opened U.S. borders to Chinese immigrants for the first time since 1882 when Chinese immigration was banned after many years of resistance against Chinese migrant workers. It allowed those who were here to become naturalized citizens, thus giving them the right to vote. This act was later repealed in 1965, ending restrictions on the number of immigrants allowed, as well as business and property ownership to all Chinese immigrants. Washington, D.C. residents are granted the right to vote for President in 1961 under the 23rd Amendment, this right was taken away in 1801 when Maryland delegated this part of their state to Congress. In 1964, the 24th Amendment was passed outlawing poll taxes, which were a ploy used by states to discourage voting by poor people. The next year, The Voting Rights Act is signed by President Lyndon Johnson. This act has been touted as the most effective piece of federal civil rights legislation in the history of the country and was passed in Congress thanks to the American Civil Rights Movement. It federally prohibits racial discrimination in voting and has been amended and added to a number of times to protect the voting rights of all minorities, including Native Americans. In 1971 the 26th Amendment was passed lowering the voting age from 21 to 18. 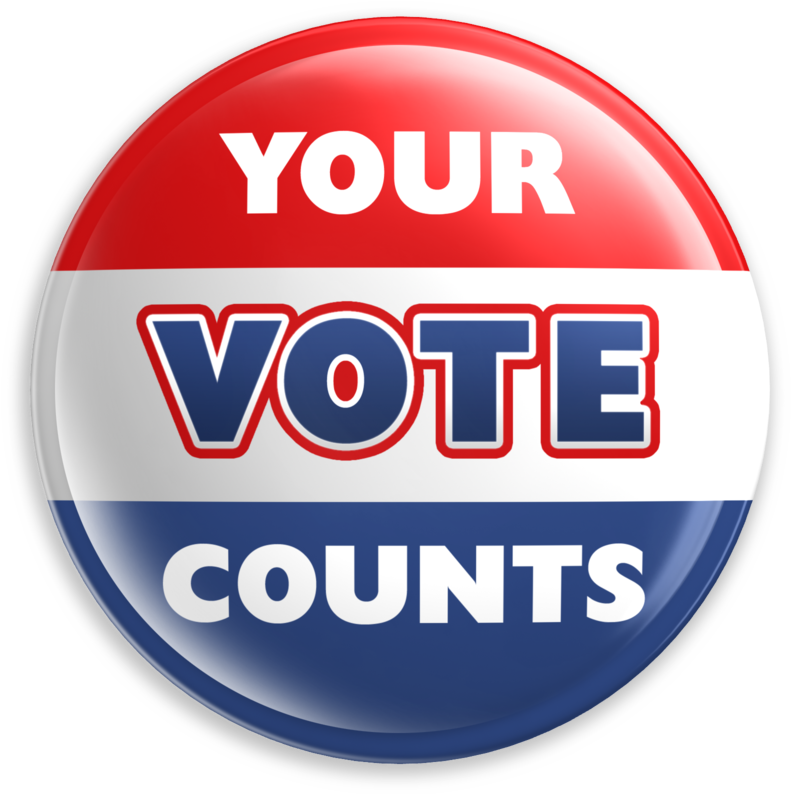 We enacted the Uniformed and Overseas Citizen Absentee Voting Act in 1986. It requires all U.S. States, the District of Columbia, Puerto Rico, Guam, American Samoa, and the U.S. Virgin Islands to allow members of the seven Uniformed Services, members of the Merchant Marines, their family members, federally employed U.S. citizens working outside the United States, and private U.S. citizens living abroad to vote via absentee ballot. That brings up to today! People are currently fighting for voter’s rights and accessibility for the disabled. Homeless people also have a hard time practicing their right to vote because of residency requirements. Felons are not allowed to vote in many states, since the U.S has a much higher proportion of our population in prison (nearly 6 million American, approximately 2.5% of our voting aged population) than any other Western nation, this has led to a very high percentage of Felony Disenfranchisement. There you have it, Band! Hasn’t this been a fun trip down memory lane?